Discover why Smaller is Smarter. 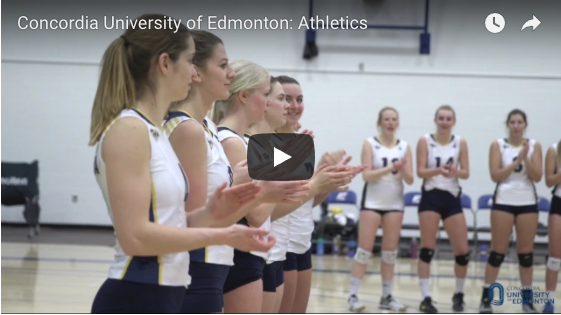 Discover Edmonton’s University. 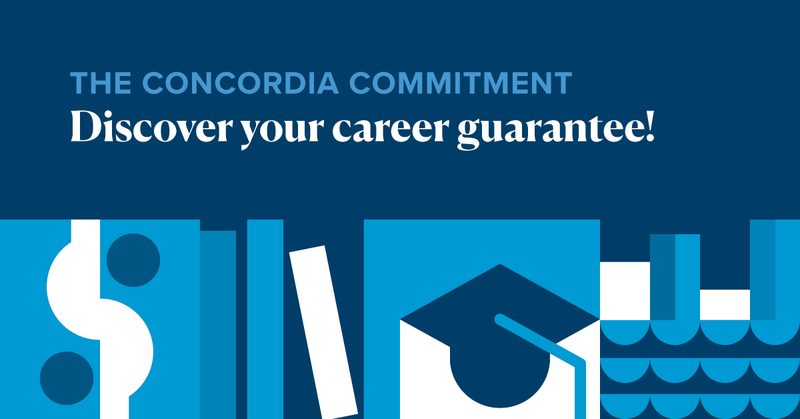 Your big future starts with Concordia’s small campus experience. Small enough to really get to know your professors – and kindle lifelong friendships with your fellow students. At Concordia, you can sit in the back, but someone will always invite you to the front. Choose from a broad range of Bachelor degrees in Arts, Sciences and Management, including international dual degrees! Then look forward to After Degrees in Education or Public Health, along with a number of unique Master’s Degrees. Whatever path you choose, you’ll learn who you are and discover where you’ll go. Try being a Student for a Day and really experience the life of a Concordia University student, or come in for a campus tour. We’ll show you around our beautiful riverfront campus, you’ll meet current students who’ll be able to tell you about student life, including student clubs, and you can meet professors from different faculties. You’ll be able to find out what you need to get in from our admissions and registrar’s office too. Open House was October 13, but stay tuned for information about our Info Night coming up in March! Don’t forget about our brand new one-of-a-kind program in Alberta, the Concordia Commitment – a free program that guarantees you a year of free undergraduate tuition if you’re unable to secure career-related employment or placement into a professional program or graduate studies within 6 months of graduation. We think Concordia is a pretty great university! But don’t just take our word for it. Listen to what our students have to say. Open House introduces you to Concordia – and we welcome you to come and visit again, any time! Stay tuned for upcoming Info Night information. Come in for your own private tour, join a group tour, or experience a day in the life of one of our students. You can also chat with our Admissions team and find out what you need to come here. We want you to make the right decision for you. We’re here for you. Drop us a line or give us a call at 780-479-8481 or toll-free at 1-866-479-5200 and we’ll be happy to help. This is where it starts – the beginning of your big future!